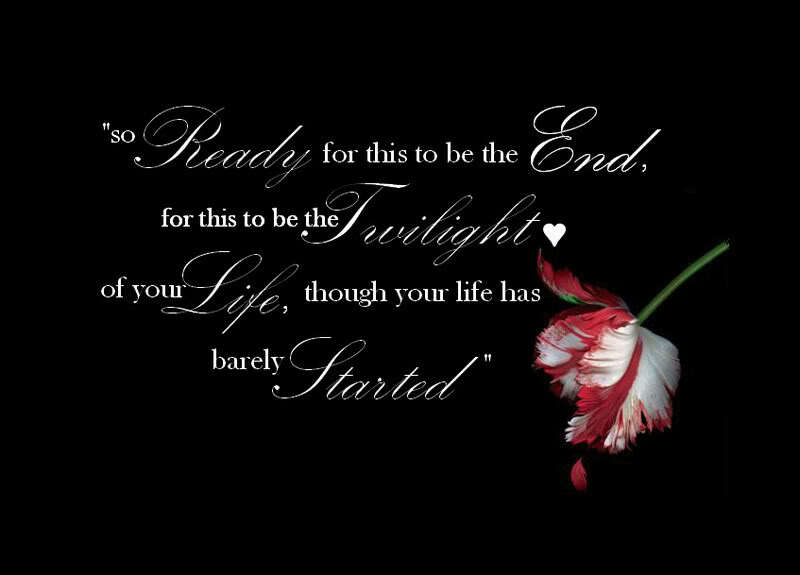 Bella Swan is finally marrying Edward Cullen. They made a deal – she would marry him if he turned her into a vampire himself and that they would sleep together before he turned her so that she can experience it all before becoming undead. He reluctantly agrees, sure that she will die in the throes of passion. On their wedding day, Jacob Black, her best friend, werewolf and third part of their love triangle, shows up to do his duties and be her best man. He is horrified when he realizes Edward and Bella’s plan to make love before she becomes immortal – even though he doesn’t want that to happen, he knows it is much safer with her being a vampire sleeping with a vampire instead of a frail human. They disagree and Jacob flees to the woods. Edward and Bella goes to Isle Esme for their honeymoon, a place Bella’s new father in-law, Carlisle got for his wife Esme as a present. They sleep together, but Edward is horrified by the bruises he accidentally left on Bella. She is persistent in getting him to make love with her, and in the end she wins, and he does. When Bella discovers that she, a human, is pregnant with Edward’s child, they both freak out. When she realizes that Edward plans to have Carlisle abort the baby, she calls Rosalie, and the Cullen that always liked her least stands by her. When Jacob hears that Bella is back, he heads to the Cullen mansion to go check what is happening. He is sure that by now she is a vampire, which is a direct violation of the treaty the Cullens and the Quilettes made ages ago, but he is shocked when he finally realizes what is going on. The fetus is slowly killing Bella, but not only is she determined to carry it to term, she is determined to survive as well. Jacob decides that he finally has had enough of Bella’s constant infliction of pain on his heart, and leaves. He turns to wolf form and Sam, his pack leader, hears what has happened. He decides that the baby is a danger to Forks and the entire Cullen clan must be killed. Jacob is horrified, splitting from the pack. He warns the Cullens and knows Sam won’t attack with the Cullens waiting for them. Soon after Seth and Leah joins his new pack and the three of them helps guard the Cullens. Bella goes into labour, and it looks like she is dying. Rosalie takes the baby from them to keep it safe and Jacob follows, intending to kill it. He imprints on the baby, Renesmee, and is unable to do so. Meanwhile, Edward is refusing to let Bella die. He turns her into a vampire by injecting venom straight into her heart. Three days later, Bella awakens to her new life. Everything is even better than promised, now that she has her beautiful daughter, a best friend who is no longer in love with her, and some super self-control other new borns don’t have that enables her to not kill humans. Life continues until Irina, part of the Denali clan, shows up. She wishes to make amends for all the drama with Laurent, the vampire who nearly killed Bella and was ultimately taken down by the werewolves. She sees Renesmee and thinks that it is an immortal child, vampire children who had massacred entire villages years before. They are unable to show her the truth and Alice sees her delivering the news to the Volturi, the leaders of all vampires, who have been waiting for something to take out the successful Cullen pack. With the Volturi heading for them, will Edward and Bella survive the attack? Will they be able to convince them that Renesmee is able to control herself? 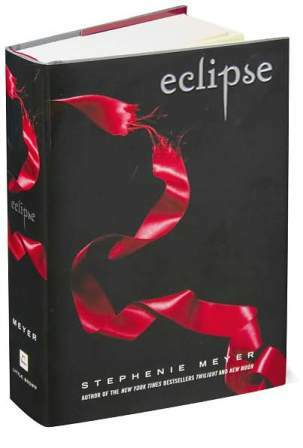 I have to say that I really thought that the last installment of the Twilight saga was really well done. It is incredibly well rounded, addressing all the issues from the previous books and not leaving anything unresolved. Bella was a much more impressive vampire than she ever was a human, and I enjoyed how well she seemed to develop her spine during the book. It is a hefty read – well over 800 pages, and I questioned my sanity whether it was advisable reading it so close to the end of the challenge. I am glad I did though. It is always entertaining and actually quite well written. When Isabella Swan moves to Forks from sunny California to go live with her father, she thoroughly expects it to be a nightmare. Used to sunshine, she is now in a place where it perpetually rains and is always cold. Despite her awkwardness, she is immediately popular at her new school. She makes many friends, including Jessica, Angela and Mike, who quickly develops a crush on her. The only person who doesn’t immediately like her is the impossibly handsome Edward Cullen. He and his siblings always seem removed from the rest of the student body, content to be on their own. Bella and Edward’s first meeting in biology class is highly awkward, and she can’t help but feel the anger he directs towards her. Hurt and confused, she is bewildered when he disappears the next day, because no matter what her mind tells her, she knows it is because of something she did. Upon his return, Edward is much more civil to her. Bella is drawn to him, but she senses the danger that lurks beneath his beautiful surface. When he saves her from an impossible accident on a snowy day, she even starts to suspect he may be something more than human. Her persistence to know answers irritates him, and they frequently disagree on it. Bella and some of her friends head to La Push, a beach in a reservation. Bella reconnects with Jacob Black, who she knew as a kid. He tells her the tale of the Cullens and his own people, and even though he doesn’t believe the legend, she is much more prone to believing it, with what she has seen of Edward’s strength and speed. Edward saves Bella once again later on when she goes shopping with her friends, and is herded by men who want to harm her. She finally gets him to admit the truth, that he and his family are vampires. He realizes that she accepts him either way, and that even though he will always be a danger to him, she will be with him forever. After meeting Edward’s family, Bella joins them for a baseball game on a stormy night. Everything goes well until another group of vampires appear – vampires who don’t share the Cullens “vegetarian” lifestyle. A fight nearly breaks out when James, one of the other clan’s vampires tries to attack Bella. Edward reads James mind and realize that his vampire ability is hunting, and that he will never rest until he has Bella. Bella is taken to safety by Alice and Jasper, while Edward and Carlisle search for James. When he eludes them, and heads to Phoenix, Bella knows that he will eventually find her. He calls her and threatens to kill her mother if she doesn’t show up alone. Will Bella and her mother survive this attack? The first book in the Twilight phenomenon is truly enjoyable. It is well written, despite all reports. I appreciated the new direction Meyer took on vampires, and how their existence could be possible. The book was a solid baseline for the other books to follow – how Victoria would become so dangerous to them, much more than James ever was. Bella as a character is somewhat weak, but mostly she depicts what teenage girls truly are – just a little obsessed with social acceptance and boys, and insecure about themselves. Will we judge her for dropping her friends in favor for her boyfriend? Yes, because she is absolutely the first girl ever to do that. Edward, despite being overbearing and protective, seemed like a fine romantic lead to me. If you had to wait a hundred years to meet the love of your life, you would also become a bit obsessed, no? I think most people who love this genre have read this book already, but if you haven’t, and you like vampire romance, you should give it a try! I have varying degrees of tolerance towards the Twilight phenomenon. It really depends on my mood. Most of the time it really is just a mediocre book to me – it doesn’t inspire the either the complete outrage or adoration it has divided readers into. In defense for the series, I have to mention that originality is celebrated in all other genres – why is it so impossible for it to be celebrated in Vampires? It is so much better than the fan-fiction it has caused to erupt – like 50 Shades of Grey (E.L. James). That, my dear readers, is atrocious material. Bella finally has Edward back. In New Moon, Edward fled her life in a bid to protect her, but it was disastrous for both of them. He returns to Forks, but has to face the consequences of leaving her alone for so long. Jacob Black, a werewolf, is one of them. 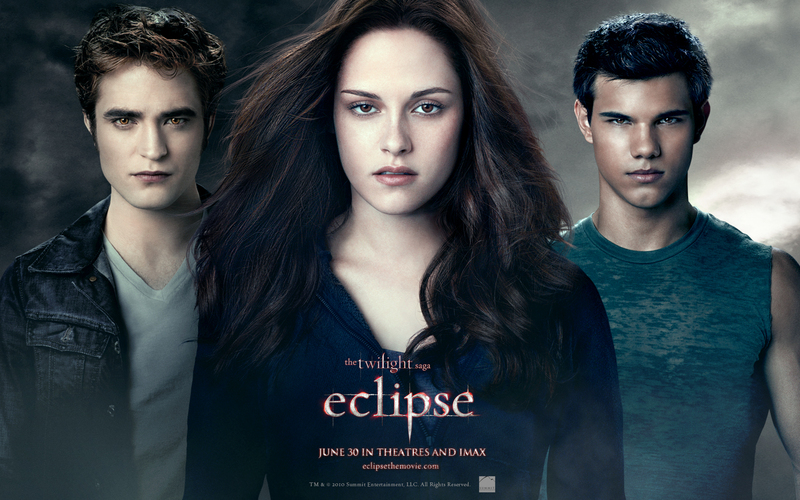 In the months Edward was away, Jacob became Bella’s “replacement sun”. She is in no way as in love with him as he is with her, but Edward still has to deal with her lasting attachment to another mystical being. 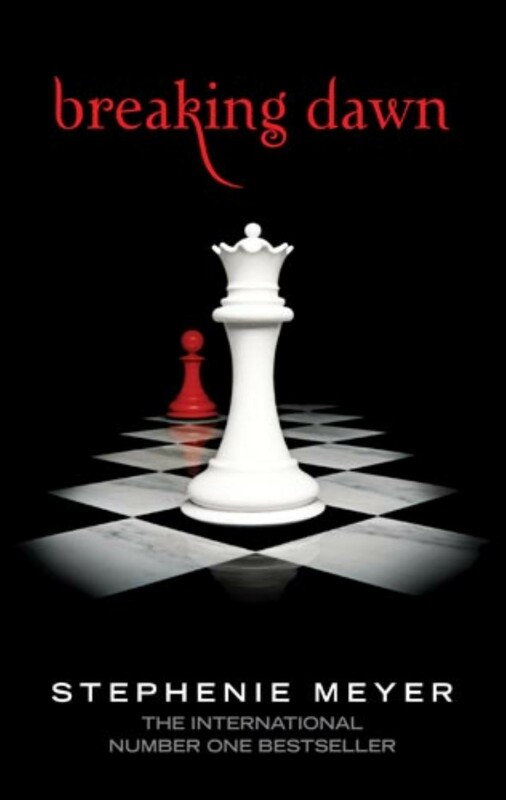 Another problem is Victoria – the mate of the vampire James who Edward killed in Twilight, the first book. Victoria, like any other vampire, needs to avenge the death of her mate, and is hell bent on torturing Bella to death to hurt Edward. The Volturi is keeping a close eye on Bella, intent that she either becomes immortal or be silenced permanently to keep their secret world, well, secret. When it becomes obvious that there is an army of new-born vampires on the loose, the Cullens know that they will have to intervene, or risk the Volturi arriving and checking in on Bella. Will Edward and Bella survive this new storm? Like I mentioned, the book is average. It is a good love story – two people fighting to be together no matter what. Everyone is (supposed) to like that. The book itself is not badly written – in fact I find it quite readable. It is much better than some critically acclaimed books. Bella’s character gets a lot of bad press. At the end of the day, she is day a teenage girl, which makes it okay for her to worry about boyfriends and be insecure. 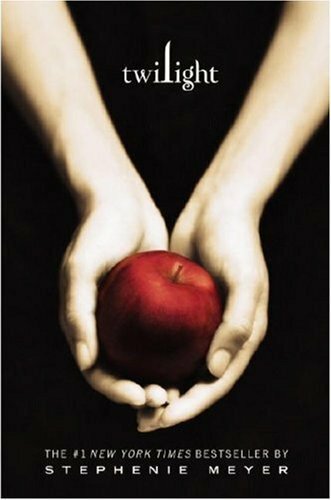 The character is an empty canvass – she is so devoid of real personality that the series’ main readers, teenage girls, can easily place themselves in her shoes and dream about Edward. Edward isn’t that bad, really. Sure, he is a bit possessive and jealous, but with Bella’s track record of injuries, she really needs supervision. He is written to portray someone set in stone, and the only real change he has had in the last 100 years was his love for Bella – I would be pretty possessive then too. I applauded when he became more lenient and understanding for her need to see Jacob.